Cold Lake First Nations will install solar energy panels on five of its buildings this fall with funding from Alberta’s Indigenous Solar Program. The project is the result of a new provincial grant program designed to help Indigenous communities reduce their energy bills, create local jobs and participate in the emerging green economy. The solar panel project will receive a grant of approximately $200,000. Cold Lake First Nations will contribute nearly $50,000 to the project. 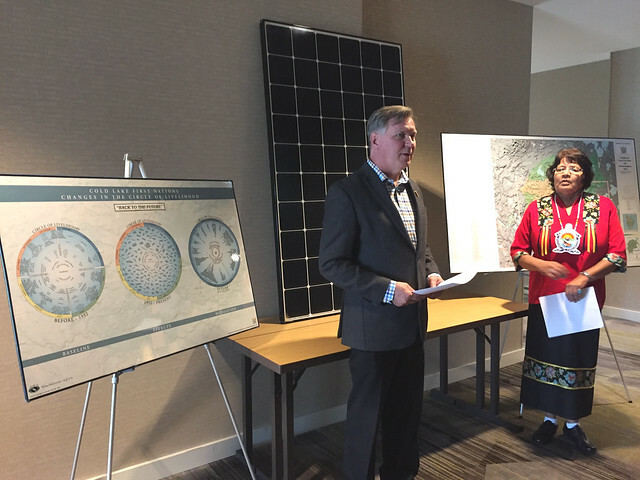 Up to $35 million in grant funding is available through various streams, including the Indigenous Solar Program, to meet the needs of Indigenous communities in tackling climate change. Panel discussions, dialogue with Indigenous leaders, workshops and feedback from two successful pilot projects helped inform the new programs.